The jury selection process began yesterday (February 18) in Atlanta, for the rapper accused of killing Brick Squad 1017 member, Slim Dunkin. Vinson Hardimon aka Young Vito, is charged with shooting and killing Slim Dunkin, 24, during a dispute in a local recording studio. Young Vito, 30, has pleaded not guilty to a number of charges, including felony murder, and aggravated assault. Prosecutors claim that on December 16, the two men were involved in a dispute over a piece of candy, that escalated in to a fist fight, in a recording studio on Memorial Drive. 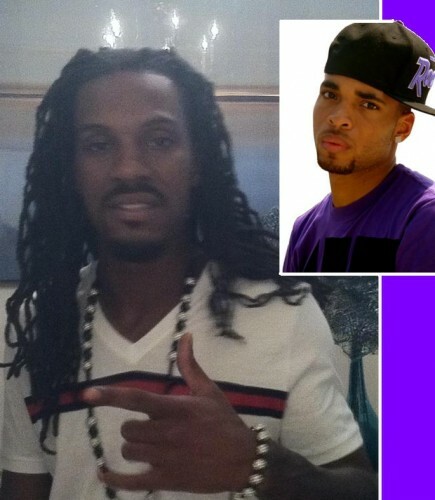 According to witnesses, at some point during the fight, someone passed Young Vito a gun, which was used to kill Slim Dunkin, who was shot once in the stomach.Police never recovered the murder weapon, or shell casings and prosecutors believe someone cleaned up the crime scene after the shooting. Young Vito has been held without bond since January of 2012, because he is a flight risk. The rapper also has a lengthy criminal record, which includes cruelty to children and aggravated assault charges.